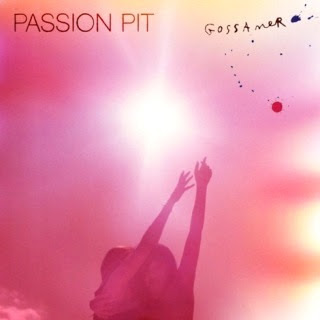 I was a little surprised at just how much I enjoyed the debut Passion Pit record, 'Manners'. They recently returned with the disappointing 'Take A Walk', ahead of their new album 'Gossamer'. In fact, "disappointing" is a severe understatement. However, 'I'll Be Alright' is much more promising. Listen below. While 'Take A Walk' was instantly forgettable, albeit rearing its ugly head on occasion and accidentally reminding us of its bland mediocrity, 'I'll Be Alright' is almost the complete opposite. A dizzying, breathless track, much more in the spirit of the first album. Equally, 'I'll Be Alright' is something of a grower. Its hyperactivity is a little overwhelming to begin with before your ears have settled in and discovered that this is basically a ridiculous cover of The Who's 'Baba O'Riley'. Although I seem to be the only one who thinks that. It's the chord progression, or something, non? Regardless, 'I'll Be Alright' is considerably more fascinating than 'Take A Walk', the latter of which you can listen to in the video above. If time is of the essence then I very much recommend exploring the new sounds of 'I'll Be Alright' immediately instead. 'Gossamer' will be released in the UK on July 23rd. Find more info at passionpitmusic.com.